The Wits Radio Academy under the auspices of the University of the Witwatersrand Journalism Department is proud to present the annual Radio Days Africa conference. Held in association with Radio Days Europe, the conference has become the premier gathering of radio leaders and influencers on the African continent. With a variety of topics, speakers and participants, all spheres in the public, commercial and community radio sectors are catered for. Sharing the best radio of today and discussing the future of the medium, delegates can grapple with issues facing the medium in a changing environment and be exposed to new ideas and skills from the continent and abroad. Held at the University of the Witwatersrand, the conference attracts more than 250 delegates from public, community and commercial radio from across Africa. A range of international and local media experts will share their knowledge, insight and passion for radio. The conference will host a range of local and international speakers who will speak about the tenacity of the medium in a booming technological era and give insight into best practices and future trends. Radio Days Africa will cater for on-air talent, producers, enthusiasts, managers, marketers and anyone else interested in the medium. 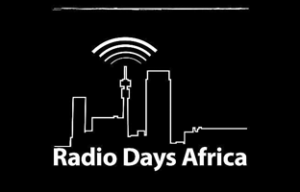 The next Radio Days Africa conference takes place from 3-5 July 2019. Visit the Radio Days website for more information.